As popular social media sites gain new members and actively provide advertisers with in-depth targeting options, the next question becomes how to best communicate to your audience. Sites such as Pinterest, Instagram and Twitter reinforce the idea that users want quick tidbits of information with little copy. A great way to provide this is by using an infographic. A visual image such as a chart or diagram used to represent information or data, an infographic can support information in an article or piece of collateral, or stand on its own. A strong infographic tells a story in a clean design and makes it easy for the viewer to understand the key data points. Infographics are not a new method of communication; however, full-page infographics are gaining popularity as they are a concise way to share a message on social media. Some well-executed ones, especially those on humorous or unusual topics, can even go viral if shared with the right audience at the right time. Think mobile first! Most users are viewing social media on their mobile device or tablet. The proper width for these devices is between 600 and 640 pixels. Design to the subject. Don’t be afraid to use obvious icons in your infographic. This way, your user can easily identify the topic. Consistency is key. Once you choose a certain graphic style, stick with it for a clear, cohesive piece. Clearly map out the story. When displaying multiple data points, make sure to break them into sections to visually tell a story. Use dividers or arrows to mark where the user should begin and end. More visuals, less text. 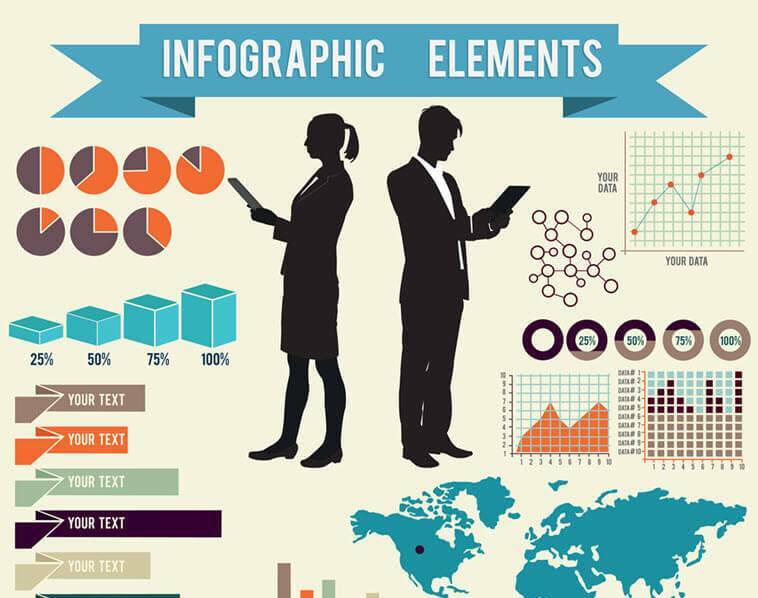 An infographic should rely heavily on the graphics to communicate the information. You don’t need additional description text. Less text will create a cleaner look that is sure to draw a viewer’s attention! What do you think makes a great infographic? Share your ideas here.